With the debut of Daredevil on Netflix only a few hours away, Marvel Studios’ first TV series, Agents of S.H.I.E.L.D. is reportedly a lock for a season three renewal. And it may not be the only Marvel series on ABC next fall. Entertainment Weekly is reporting that Agents of S.H.I.E.L.D. is in development at ABC, which will grow out of storylines to be introduced later this season on the series. Agents of S.H.I.E.L.D. executive producer Jeffrey Bell and former Lost writer Paul Zbyszewski are shepherding the potential new Marvel show, but no other information is currently known about. 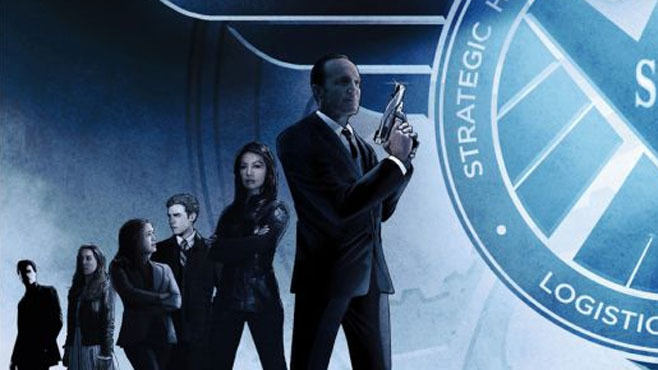 The report notes that the Agents of S.H.I.E.L.D. spinoff is not guaranteed to go forward and it may be contingent upon how ABC receives the rest of its potential series for next season. However, the story adds that the spinoff could be in place on ABC’s schedule as soon as next fall. Related: Adrianne Palicki Promoted To Series Regular on Agents of S.H.I.E.L.D. As for the Agent of S.H.I.E.L.D. prequel series, Agent Carter, the word from Entertainment Weekly is that it only has a 60% chance of renewal at this time. In its favor, the Agent Carter series pulled in similar numbers to its parent series and could return again as a midseason bridge to new episodes of Agents of S.H.I.E.L.D. in early 2016. ABC will announce its Fall 2015 lineup next month.